Attic insulation is a one-time project that will make a world of difference in your Plant City, FL home. 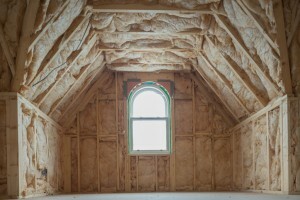 If you are looking for an effective way to cut your energy costs, consider insulating your attic. Attic insulation is a one-time project that will make a world of difference in your home. You may find that you are constantly battling the seasons, especially in your upper rooms. If the upstairs in your house always seems to be just a bit uncomfortable (too hot in the summer or too cold in the winter), you will likely find that attic insulation will solve the problem. Not only will it make your home more comfortable, but it will most likely also save you hundreds of dollars on your energy bills each year. A free consultation to discuss your needs along with an estimate for the job. Fiberglass batting or blow-in insulation to fill the attic and provide the appropriate R-value. Energy Star certified insulation, giving you peace of mind and qualifying you for any local rebates. Certified professional installation by our expert laborers. Install attic insulation today, and see what a difference it can make in your comfort level and in lowering your utility costs. For high-quality service and products, always choose Polk County Installation. We offer solutions for attic insulation in Plant City, FL and surrounding areas. Call our office anytime between 7:00am and 7:00pm, Monday through Saturday.